Ever wondered how Malminder can help you personally? Me too. Which is why Malminder has let me, one of her clients, take over her blog this week, to give you an insight into what a session for relationship problems is really like! 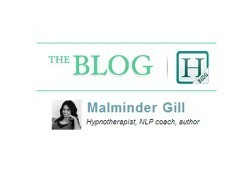 While Malminder isn’t the writer this week, I’ll be sharing her advice and what she recommends that I put into practice. I have been with my partner for a few years, we tick along, but there are times where I feel invisible, irrelevant and unloved. He is not a man who likes to share his feelings; he works on the principles that I should know I’m loved, rather than being told. Unfortunately, that doesn’t work with me. 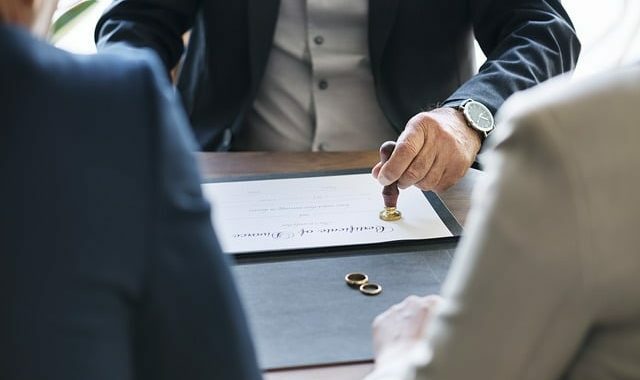 At the end of my tether, I came across Malminder’s article entitled How To Save Your Relationship. Result! Learning about the different love languages, I started to uncover where the problems in feeling unloved were coming from. It isn’t that my partner doesn’t love me, but that he is showing love in his way and not the way I want to see it. Despite nodding as I was reading the post and feeling like I cracked the code, a month later nothing changed, I still felt the same, and the problems were still evident. So, I got in touch, and Malminder suggested we speak. Dubious of what to expect, Malminder’s warm and friendly tone put me instantly at ease. There was no time to be nervous as Malminder got me talking about the heart of the matter immediately. Her questions were blunt, but it felt like I was talking to a friend over a glass of wine; it was frank but comfortable. The first thing that struck me was how Malminder managed to put all the mixed-up emotions I was feeling and relationship problems I was experiencing into something logical and easy to understand. Explaining that the problems I was experiencing were a ‘death by a thousand cuts’. She made me see the things I was downplaying, such as missing affection and wanting words of affirmation were eventually going to end the relationship. It was clearly time for help. Quite rightly, Malminder explained it isn’t possible to address my perceived imbalance, without first knowing what it is I want. Knowing that I am not happy with what I’m getting wasn’t enough, it certainly isn’t going to help my partner. I needed clarity, because without knowing what I want, how was my partner going to help? This reminded me of the The Times article in which Malminder advised on dating; you won’t get what you want unless you ask. If you’re like me, you’ll be reading Malminder’s advice, agreeing in principle, but believing your situation is different, or her advice won’t work for you. In the call, I found myself repeatedly following on from the advice with; ‘yeah, but…’. Malminder explained this is common from her clients and managed to reason with every objection I had. You already know what you want. Malminder explains that what you want subconsciously and passively seeps through. Otherwise, there wouldn’t be any of the issues you raise. For me, feeling unloved, unwanted and invisible would build up. Eventually, the feeling would come out. I thought I was being jokey and lighthearted, but my partner saw them as digs at his behaviour. It was the minor things, that sound so silly but later blow up into bigger problems. For example, if I sat next to him and he’d get up instantly to do something else, I’d make a joke about whether I smell, or perhaps sulkily say that I could move if I was a problem. Instead of realising he was just doing what he wanted, and it had nothing to do with me, I felt like he was pushing me away. Malminder showed me that however lighthearted I was making the remarks, they were ultimately showing that my needs were not being met. My subconscious knew what it wanted, but like so many of us, I suppress expressing what I actually want. We don’t put what we want into words for one simple reason: fear. By knowing, striving for and telling people what we want, we worry it could cause a breakdown in relationships, perhaps open a can of worms or completely disrupt our lives. “You should not be afraid of what you want. It won’t be the breakdown of your life. Instead, it could save your life. Don’t be a game piece for everyone else, figure out what you want and how to introduce this into the relationship for the highest good of both parties – if it doesn’t genuinely work for both, it isn’t working at all.” – Malminder. Next, Malminder explains that clear and positive communication is the only way to address the imbalance and tell my partner what I actually want from him. The prerequisite for this is that the conversation can only happen when I am feeling appreciated and when I feel good. I thought perhaps the fact I know my partner appreciates me and I can recall examples would be enough. However, Malminder was very clear that for the conversation to work, the energy must be right. Instead of knowing I’m appreciated, I have to feel it. She advises that when my partner does something that shows love or appreciation, I should capitalise on that moment to have the conversation. As well as feeling appreciated myself, I had to also focus on what I appreciate about my partner. The times when I truly feel appreciation for my partner creates a loving, and positive energy is the best times to have that talk. Another tip was to get into a place of appreciation. Malminder sent me an audio file of almost hypnotic affirmations of appreciation to listen to help me to become more receptive to appreciation. You can receive a free copy of this audio too, just email info@hypnosis-in-london.com. 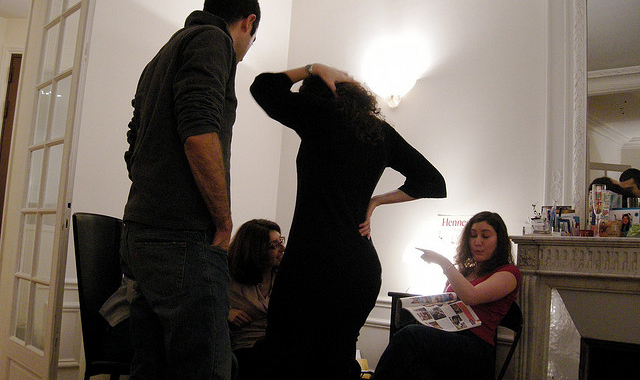 Once the timing and energy are right, Malminder then explains how to approach the conversation. Surprisingly by congratulating him. Instead of looking at unmet needs, the focus moves to praising the times he has met my needs before. She told me to bring up a time where he did show me love in a way that I truly felt special and thank him, explaining how good he and his actions made me feel. This changes the energy of the conversation away from the blame and instead is appreciative of what happens that makes me feel good. I felt the ‘yeah, but’ creeping up. ‘I’ve already told him what I like why will this change anything?’ Malminder’s answer is simply to let go of expectations because this is a new way to have the conversation. It’s true, most of the conversations have been a blame-game for both of us. We explore what we don’t like rather than what we do like. We bring up past issues and point out the contradictions and flaws in what each other says. Also, it’s not fair to predict how the conversation will go or what his responses will be anyway. It’s about letting go of the expectation. Explain how the things that he does makes me feel good/special/cherished. End the conversation. There is no agenda, no waiting for a response or hope that he’ll reciprocate. It is simply an expression of love that my partner will receive. While he may be expecting blame or even a ‘but’ at the end of what I say he’ll hopefully see it as what it is; me appreciating him. Of course, being impatient, I had to know what would happen after the one-way conversation. There are typically two outcomes. The second response is that there won’t really be a response at all, but a change. Once my partner knows what I like, I’ve explained it clearly, and how it makes me feel, he has the encouragement and knowledge to help my needs to be met. Malminder explains; “As humans, we strive towards doing something positive rather than something negative”. Regardless of what happens, I know the outcome will be positive. This is because I’ll have a clearer idea of what I actually want and how to communicate it effectively to banish the relationship problems. I’ll be putting her advice into place this week, when the energy is right, and will hopefully share the results with you next week! previous post: It’s Only A Sext!